With the interruption of the peace talks, the government of Turkey started, in mid-August, to implement a security policy that unlawfully restricts fundamental rights and freedoms in those cities and towns largely populated by Kurds. Since August 2015, long-term and consecutive curfews have been declared in the provinces of, and the towns attached to Şırnak, Mardin, Diyarbakır, Hakkari and Muş, and are still underway in certain cities and towns. During these prohibitions, national and international media, human rights or professional organizations as well as representatives of the parliament who wanted to identify violations of rights have been denied access to these cities and towns. According to the findings in reports drawn up by the very small number of civil society organizations which could make their way into the region in the face of huge obstacles, it has been determined that the civilian population has become the target of both snipers and heavy weaponry, which has been used in an arbitrary fashion. According to reports prepared by rights based organizations, 1,3 million people have been impacted by the curfews; more than 150 civilians –including children and the elderly– have lost their lives . Many people have been injured, and hundreds of thousands of people have been displaced. Arbitrary detentions and arrests have occurred; and civilians are being subjected to torture and maltreatment in detention centres and in the open. Intrusion in telecommunication networks restricts the right to information and freedom of communication. By an official decision to send away teachers from the region, education has been disrupted without a deadline, and health services have also been suspended. Due diligence in protecting civilians is not being demonstrated in any sense and they are not even provided the opportunity to meet minimum daily needs such as the right to food and water. After the curfews, no immediate and explicitly effective investigations have been conducted. Trial and punishment of those security forces that violate rights are being rendered impossible. The policy of impunity expands and continues, getting more severe. Although curfews have been declared pursuant to article 11/C of the Provincial Administrations Law, with the justification “apprehending the members of the terrorist organization” and “ensuring the physical safety of the people and their properties”, jurists largely agree that the aforementioned law does not entitle the relevant senior public officer to declare such a prohibition, which would impact the rights and freedoms of the entire people living in a city or a town. Pursuant to constitutional article 13, such a restriction can only be introduced through ‘law’. Curfews declared upon the governorate’s instructions are in breach of the constitution. The fact that the framework of the curfews and the sanctions thereof are not subject to the law means that security operations conducted in this period and rights violations too are not subject to any legal supervision. Other than in times of war, in populated areas where a state of emergency or martial law has not been declared, the security forces are not entitled to use heavy weaponry and ammunition in violation of the principle of absolute necessity without ensuring evacuation of the civilian population. During the planning, command and control of operations alleged to serve the purpose of protecting the lives of civilians from unlawful violence, it is unacceptable to perpetrate arbitrary and disproportionate force which does not accord to the duty of care expected from the state in a democratic society. The lethal force used by the government of Turkey in the aforementioned provinces and districts is currently in gross violation of the principle of proportionality to be ensured between the intended objective and the force used for this purpose in a democratic society. The environment of conflict unfolding has turned human rights defenders into targets of state violence and political assassination. 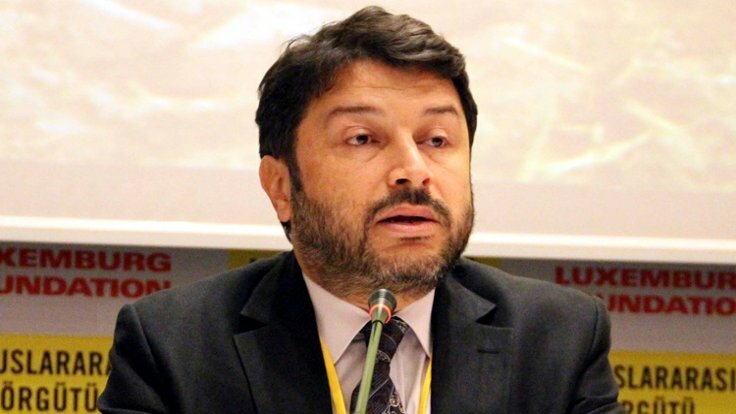 President of the Diyarbakır Bar Association and human rights defender Tahir Elçi was killed while he was delivering a press statement whereby he called for an end to security operations and resumption of peace negotiations. The situation is dire and our call is urgent! we call for a bilateral ceasefire, the cessation of conflict and the resumption of peace negotiations to be carried out in an official and transparent manner in the presence of independence observers. Updated numbers on violations of the right to life as a result of curfew by different sources are as follows: According to figures of Human Rights Foundation of Turkey’s Documentation Center’s as of January 6, 2016, at least 151 civilians have lost their lives within the period of the curfews in 17 towns of 7 districts. According to Human Rights Association’s Documentation Unit, from the start of armed conflict in July 24, 2015 until January 6, 2016, 134 civilians living in cities with declared curfews have lost their lives as a result of curfews. 12 people have lost their lives in year 2016 during curfews in Sur, Cizre and Silopi. People’s Democratic Party’s Information Center which also daily monitor the violations of the right to life, state number of people who lost their lives to be 152 as of January 6, 2016. You can download the statement here in English, here in Turkish. Next Government statement regarding the establishment of the Human Rights and Equality Institution of Turkey: the issue of the institutionalization of human rights is perceived fully from an instrumental perspective!